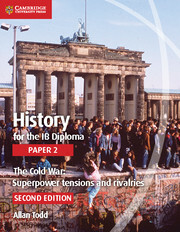 This coursebook covers Paper 2, World History Topic 12: The Cold War: Superpower Tensions and Rivalries (20th century) of the History for the IB Diploma syllabus for first assessment in 2017. 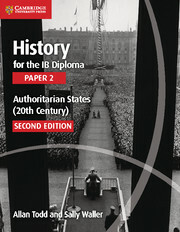 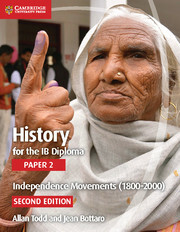 Tailored to the requirements of the IB syllabus and written by experienced IB History examiners and teachers, it offers authoritative and engaging guidance through the following detailed studies of leaders and crises from around the world: Truman, Khrushchev, Gorbachev, Castro, and Reagan; and the Cuban Missile Crisis, the Korean War, the Prague spring, and the Soviet invasion of Afghanistan. 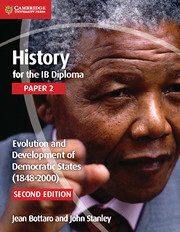 Structured to cover one topic per title to help students adopt an investigative and thorough approach to their study. 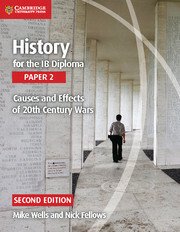 Detailed studies from around the world are included for centres to choose from according to their interests, helping students make comparisons between two different regions.